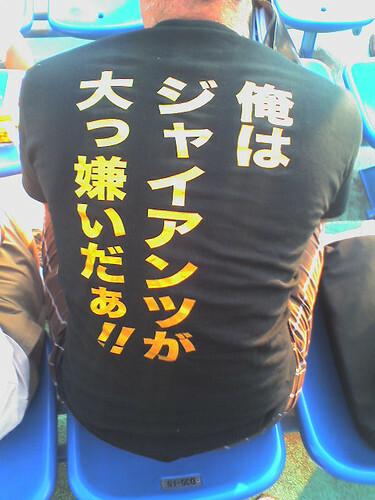 Where can I get one of those ジャイアンツが大っ嫌い　t-shirts? Kansai somewhere I suppose. How exciting. 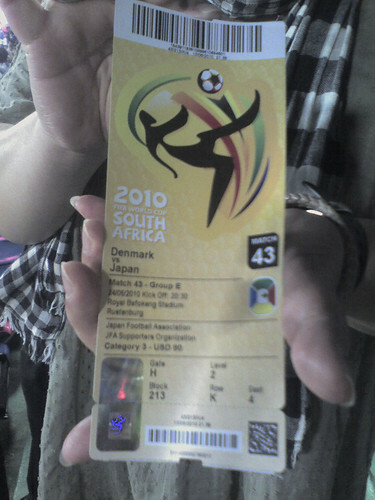 I just saw the match. Japan put quite a beat-down unto Denmark. That third goal was simply genius. I also like the Giants t-shirt. I'd buy one. 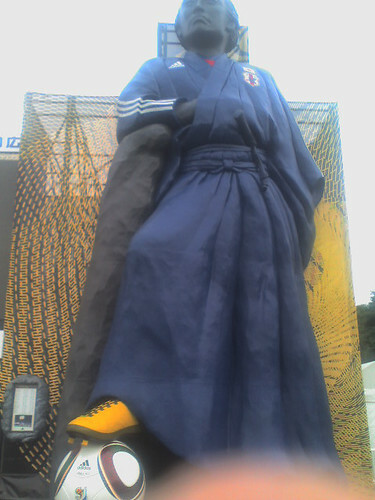 Is that a statue of Ryoma Soccermoto? Ha.